Tagged with alumni, British Council, Malaysia. 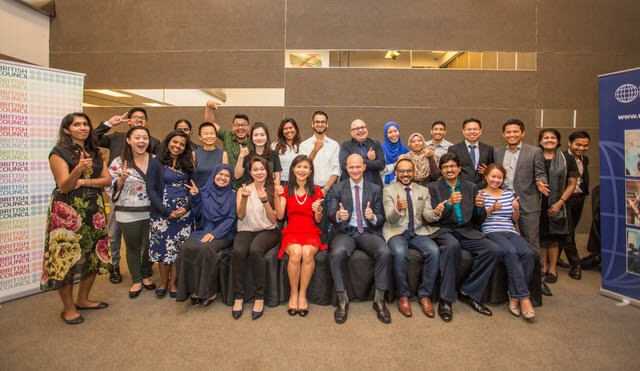 The Malaysia Commonwealth Alumni Association has launched to provide a platform for UK-educated scholars to reconnect with their peers, establish networking and partnerships, and to develop a community in Malaysia. Thomas (centre) with Malaysia Commonwealth Alumni Association team members. Photo: British Council. Launched at an annual meeting where Malaysian recipients of the Commonwealth Scholarships and alumni of UK universities convened, the association is purely focusing on scholarship recipients and is being supported by the British Council. It aims to collect advice on alumni expectations and present an opportunity for alumni to showcase the impact of the award on their lives and careers. Speaking at the launch, David Thomas, deputy high commissioner for British High Commission Malaysia said the Commonwealth Scholarships have been helping students to develop their education since 1959 with over 27,500 Commonwealth Scholars and Fellows having been funded by the UK government. “More than 700 Malaysians have benefited and have undergone a variety of programs under the Commonwealth Scholarships since 1960,” he explained. “This alumni association will be an important platform for all scholars to reconnect with their peers, to establish networking and partnerships, as well as to develop our community in Malaysia,” said Towhidur Rahman, regional manager, South Asia – Commonwealth Scholarships. The Commonwealth Scholarship Commission in the UK awards over 800 scholarships and fellowships for postgraduate study and professional development to Commonwealth citizens each year through the Commonwealth Scholarship. The CSC scholarship is funded by the Department for International Development, DFID, and the Department for Business, Innovation and Skills and the Scottish Government in conjunction with UK universities. The CSC, in turn, delivers the services required under their Memorandum of Understanding with DFID through British Council and the Association of Commonwealth Universities.